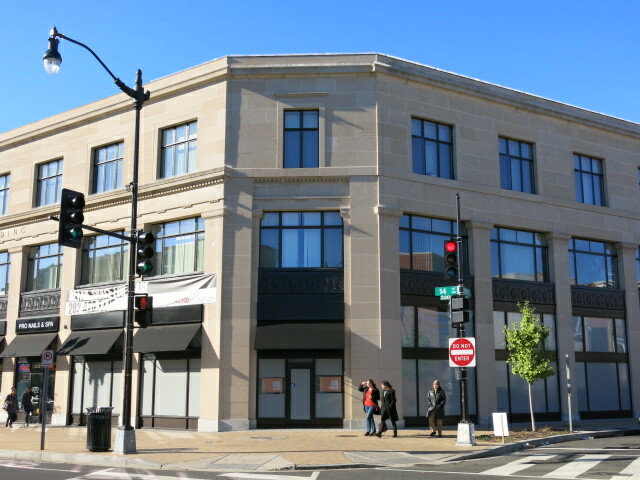 I am writing on behalf of Monroe St NW residents; as I am sure you know, there’s a TGI Friday’s that will be setting up shop very soon at the corner of 14 and Monroe. Ever since we found out about this, the Monroe Street residents Association along with the Kelsey Elder community have been very inquisitive and worried about this type of businesses opening up in a residential street and specially right below a Community of elderly people. We have voiced our concerns to our councilmember Jim Graham and our ANC reps. We have attended multiple meetings and even one with the TGI Friday’s people on Wednesday. We had been working on a settlement agreement with the ANC and filed a formal protest to the ABRA Board. Everything went great until we questioned them on a couple of issues. They saw our settlement agreement and basically rejected any type of compromise on most of it. Their discourse on willing to do anything to be a good neighbor went out the door when we asked for them to amend their closing hours to around midnight. At that point their bullying behavior became apparent and they immediately shut us down without any room for discussion. The fact of the matter is that they have not shown any action or willingness to go out of their way to appease our concerns. No dumpster on Monroe St.
And so far we’ve got NONE of it. They said that they don’t plan on having parties but then why do you need live music/DJ license until 2am? They are willing to consider not having side walk cafe but its in the plan right now so why would they be willing after all approvals are received to not do it just for us? If their concern was US, they would have already scrapped that from the plan. Closing time!!! One of the top three concerns!!! They were very clear Wednesday that they are not willing to negotiate at all on the 2 am closing time. They tried to play us with saying that they had been kind enough to scale back from 3 am to 2 am but since the get go, their permit request showed 2am. So they did not compromise here with us. The dumpster issue, they came and showed us the compactor they plan on using and although it looks great, it didn’t seem as if they had gone out of their way to get this because of our concerns but rather because that is the equipment they use everywhere or in many locations. And doubt this will prevent the rodent problem on the block from getting much worse. As far as enclosing the illegal alley where the dumpster will be, they did say that they are willing to consider it but why would we trust them to take action on this if they chose to ignore our clear wish for this to happen in the Settlement agreement. So my take is that they saw the agreement said no then told us that they would consider it but we all know that if its not black and white on paper before all approvals are done, we will not get any of it. We must emphasize the need for this area to be enclosed by a structure not just throwing a plastic cover on a chain link fence as they drawings show. This dumpster will be right next to a family’s home. And their rodent control efforts must expand beyond the dumpster area to the rest of the block. The impact on local traffic: Maybe here we got something from them by not having deliveries on Monroe but the hours for delivery on 14th St will make traffic just as bad as if they received deliveries on Monroe. We need to not allow deliveries anytime before 9 or9:30 am. Right now they plan on instructing supplier to deliver between 7 and 11 am which will cause a nightmare during rush hour for all that drive through the intersection as you can bet on having their trucks double parked and completely blocking traffics while they deliver. Having the two parking spaces as delivery only will not guarantee that the spaces will be available when deliveries show up. The only real effort that I saw, is that the exhaust of the kitchen will go all the way to the roof of the building but even then, it seems that Monroe will get hit with some kitchen odors coming from the vents they want to put above the doors on the Monroe side where the kitchen will be. We plan a very strong presence and opposition at the upcoming ANC meeting and would appreciate any additional presence possible. More Movie Theater News – Union Market Getting One Too in 2015!! Bandido Torta Pop Up Returns to Dodge City, Taqueria Coming Next Door Will Open in Late Dec.